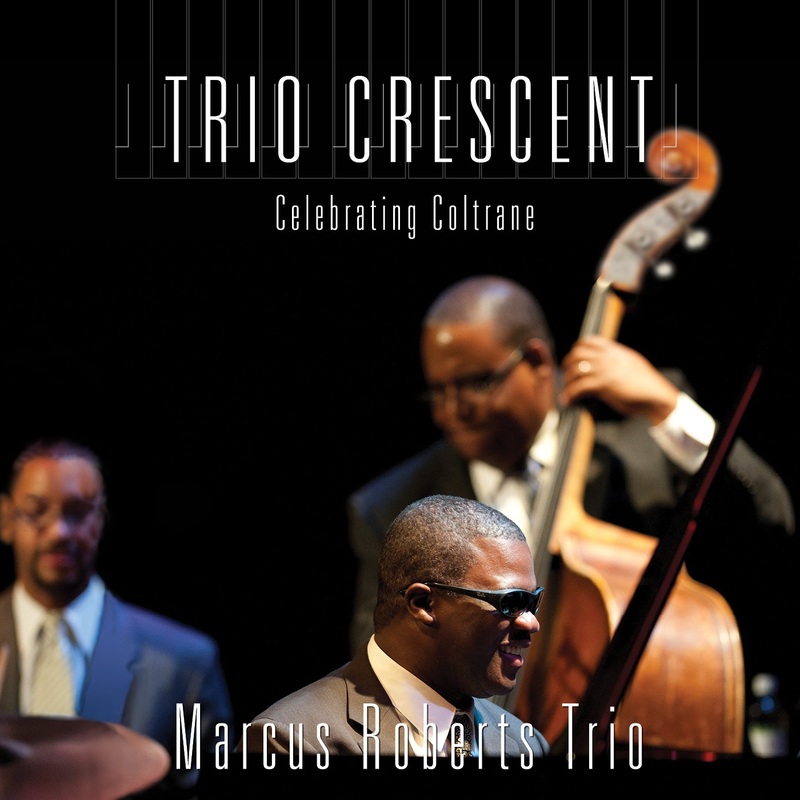 An Interview with Pianist Marcus Roberts on the eve of the release of his latest album "Trio Crescent: Celebrating Coltrane"
For the now fifty-four years old Marcus Roberts, it’s been over thirty years since the pianist made his auspicious debut as one of the young lions of jazz along with Wynton Marsalis. Then, barely in his twenties, he joined Marsalis’ band spearheading a movement that eschewed the electronic driven fusion music of the seventies and eighties, disavowing the funk and rap of the subsequent years and enlisting a group of like-minded conservatory trained musicians to honor and revitalize what they felt was a jazz tradition that had gone terribly astray. Some called the movement neoclassicism with roots furrowed deep into the soil of the stride piano, New Orlean’s traditional, Ellingtonia, bebop, hard bop and even modal traditions. 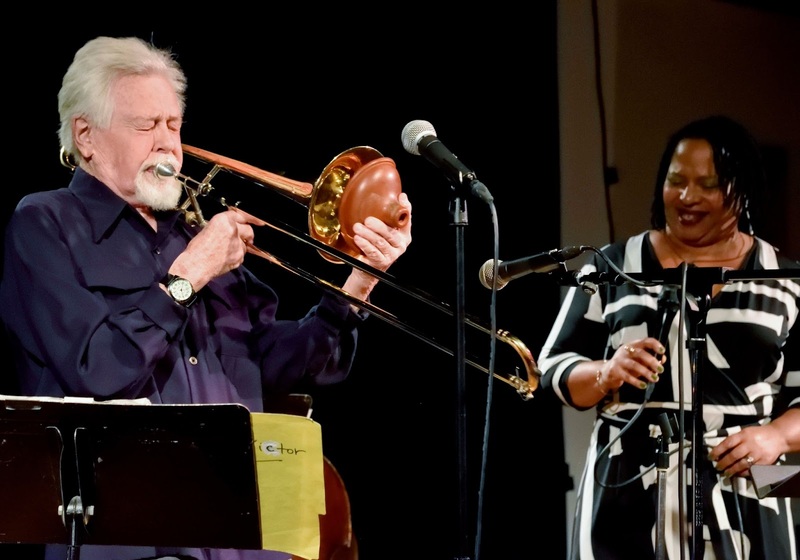 The movement hallmarked a return to three basic principles of jazz music: swing, blues tonalities and acoustic source. These essentials of jazz were codified by the writings of Albert Murray and later Stanley Crouch and it became the driving force behind the vision of the Jazz at Lincoln Center Orchestra under Marsalis’ astute direction. Robert’s is a professed self-motivator who has dedicated his life to musical excellence. He lost his sight at the age of five to glaucoma and cataracts and by age ten began attending the Florida School for the Deaf and Blind, ( Ray Charles was also an alumnus) where his music teacher, Hubert Foster, instructed him in classical piano and how to read music in Braille. Roberts later went on to continue his musical education at Florida State University where he has been teaching for several years as a faculty member. He has also received an honorary degree from the prestigious Julliard School of Music in 2014. That same self-motivating drive keeps him constantly striving for greater proficiency and understanding. Fast forward to 2017 where Roberts is an established solo artist, an accomplished composer and since 2009 the owner of his own record label, J Master records. His latest release is entitled Trio Crescent: Celebrating Coltrane which is a re imagining of the great 1964 album Crescent by John Coltrane and his seminal quartet. The challenge was to “group orchestrate” the four musical parts of Coltrane’s saxophone, McCoy Tyner’s piano, Jimmy Garrison’s bass and Elvin Jones drums into three parts for his trio. Roberts’ approach was to incorporate both Coltrane and Tyner’s parts into a more orchestrated pianistic rendering. 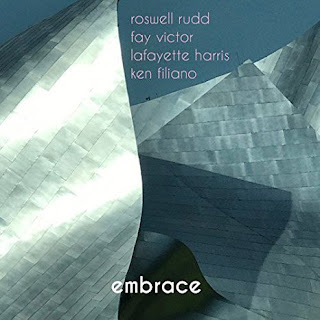 He allows his bassist Rodney Jordan and drummer Jason Marsalis some improvisational freedom to contribute to the group aesthetic, coloring their designated parts, even offering their own tempos and directions, so that the music would maintain the splendor and fullness of the original recording without straying too far from Coltrane's feel. The album features all five of Coltrane’s original repertoire including “Crescent,” “Wise One,” “Bessie’s Blues,” “Lonnie’s Lament” and “The Drum Thing” with Roberts and company’s own composition “Traneing in” concluding the set. By his own admission Roberts had to shed and transform some of his playing to accomplish the more demanding role his piano now plays. Judging by the music on the album, his hard work has paid off. Having established a long-standing relationship with his fellow trio-mates- they have worked together as a unit for the last eight years- also brought a level of intuitive interplay to the album. 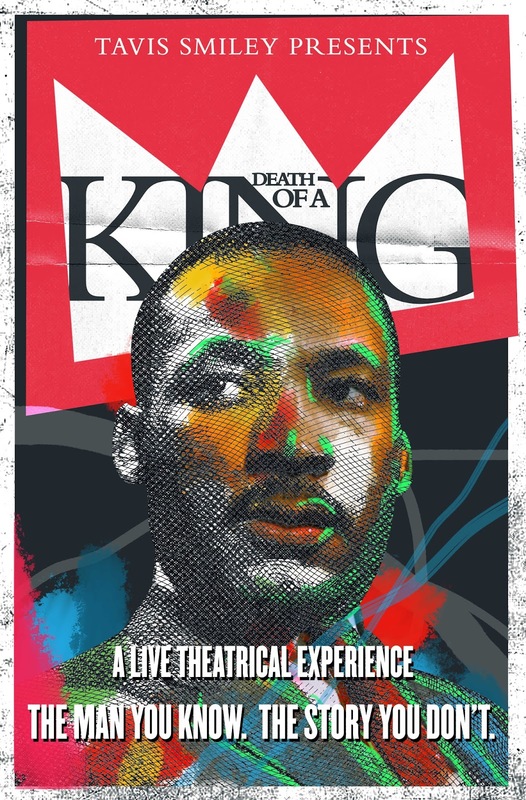 Roberts will also be performing his own music written for the Travis Smiley production of Death of a King: A Theatrical Experience honoring the 50th anniversary of Dr. Martin Luther King’s Death. This production will be start it’s twenty-six city tour on January 15, 2018 in Brooklyn and make its way to Atlanta’s Cobb Energy Center on April 2, 2018 which is the fifty year anniversary of Dr. King’s assassination. We spoke to Mr. Roberts at his Florida home via telephone on November 16, 2018 the day before his new Coltrane album will be released nationally. NOJ: Well first let me say that I am a big fan of yours since Deep in the Shed was released back in 1990, and your Christmas Cd Prayer for Peace is always in the holiday cd cue at my house. MR: Well, thank you. I appreciate it. NOJ: Let’s talk about your new album Trio Crescent: Celebrating Coltrane. This is an interesting vehicle of expression for you to use from the Coltrane discography. It’s a transitional album, almost as a prelude to his masterpiece A Love Supreme where his “sheets of sound” becomes more fully developed. Why did you choose this particular album? MR: John Coltrane has had a huge influence on me since I was like a teenage. I always loved his music. It moves me as a human being and it inspires me as a musician. It informs my perspective in everything that I do. First of all, his quartet; everybody in his quartet, were innovators on their instruments. They all brought something new and different and profound to the table. They put it all together to produce a band that sounded like nothing I had ever heard. It’s powerful, but it’s not chaotic. Its strong, but there is a flexibility about the way they improvise that has always appealed to me. Secondly, we found in our trio over the years, we would play “Bessie’s Blues” from that album somewhere in our set. After a while we got the idea that we wanted to explore that recording. Over the years, in a natural, organic way, we just started to add more and more of the pieces from the album. Finally, we decided that we should just play the whole thing and we started playing it on gigs. NOJ: So, it was really playing one tune from Crescent that started it and then the rest of the album crept into your repertoire? MR: Yeah and then we just had to figure out how to do it without a saxophone. (Laughing). MR: In a weird way that’s what makes our version unique. We had to make some decisions in order to do it as a trio without that fourth element. It forced us to find some other ways to present our identity. We still wanted to maintain the core of what Coltrane did. That music is sacred to me, it’s like if you play a late Beethoven piano sonata, I mean, what is there to change? Right? So, we just wanted to make it clear that we love and celebrate him. His legacy is alive and well and we feel that John Coltrane’s sound, his philosophy, his approach, his humanity is relevant in 2017 just as much as it was when he originally played this music. NOJ: Which of the five songs from this latest album speaks to you most emotionally and why? MR: Probably “Wise One”. There is just a depth of emotional realism in it that makes me feel that balance between pathos and optimism. Because in John Coltrane, like the truly great jazz masters, you can hear in his music the acknowledgment of sadness and suffering, but he balances that with hope and affirmation. I hear all of that in his music. As a child, we went to church a lot. I caught the tail end of what people used to do in small Black churches. The older people would kneel down and pray and they would sing as they prayed as a group. Whatever that sound was, I was five or six years old, and when I heard that sound I never forgot it. I hear that sound in something like “Wise One.” It’s hard to explain it. It’s a deep connection with your culture, with your people, with the human experience, going back maybe even hundreds of years. NOJ: I just wonder who the Lonnie was that it was written for, because I researched it and couldn’t find the answer anywhere. Do you know who it’s was written for? MR: I don’t know, I was wondering that too. Bessie was maybe a cousin. It seems like I heard that somewhere, but I don’t know about Lonnie. NOJ: You have been labeled, rightly or wrongly, as a neo-classicist. A player who is firmly planted in the pre-electric pre-fusion tradition. John Coltrane never went electric, but who knows if he had lived longer? But in his search for enlightenment he did delve into avant-garde and free playing in his later years. Is this something you have considered as a legitimate avenue for your further development or do you feel grounded by the melody? MR: I tend to try to avoid the labels and terms myself. It kind of dehumanizes the music. My mother explained (this to me,) because she was my first teacher, she wasn’t formally trained. She mentored me, not just as a parent. She’s totally blind herself and I never saw her cry or moan about it. I always thought music was a way to build self-worth, self-esteem and the ability to communicate and share with other people. So that’s really why I play. Whatever term folks want to use to say what it is, or isn’t, I don’t put too much stock in those things. My argument, which I think is a modern argument, is that we should use all of the history of jazz, all the time, for inspiration and for cultivating the identity that we express to the public. I think it is a mistake to reduce a person to a label of a certain period, because the value of art isn’t in when it was created. The value of art is based on how it can either move the public and enrich their lives or inspire artists themselves in order to create their work. That’s my view. If I were a classical pianist, would I only want to be known for playing Beethoven sonatas? Do we leave out Shostakovich? So, my point is, I feel that … jazz is really the only art form that I can think of where group improvisation and group freedom are tied to individual expression in a way that includes anything that celebrates the foundation of what it is. NOJ: So you are not rabidly against avant-garde, free playing or electric instrumentation to the degree that some of your contemporaries are? MR: No, I am not against anything. I’m for what you truly believe and know. What I don’t like is, for example, if I were to walk on stage and try to rap over a beat, it’s not what I do, it’s not what I know and it’s not what I believe. But somebody who can do that and they find a way to incorporate those things into what they are doing; my whole thing is to be authentic. Be authentic. If people are going to spend money to hear me play, I better give them the best me that I can produce, and I need to be working on that every time that I sit at the piano, every time I’m in a rehearsal, every time I’m working with younger or older musicians. "...my whole thing is to be authentic. Be authentic. I better give them the best me that I can produce..."
So no, I’m not against anything, but I do believe, and I think we all would agree, that the foundation of what produced any field should be recognized as part of the equation. For example, if somebody told you that you needed heart surgery, I assume you would want to go to somebody that finished Medical school, that they were perhaps board certified and that all the surgeries up to yours had been very successful. You probably wouldn’t want to hear that they had some new procedure that they hadn’t tested on anyone and they wanted to try it on you? You’d probably say wait a minute, I think the tried and true is just fine. Well the same is true for music. When you start talking about doing things just to say they are new or they are innovative, when its starts to go in that direction that is a bit problematic for me. I don’t necessarily feel that because something is electric that that in and of itself means that its better or worse than anything else. NOJ: I get it, but I guess my question really comes down to if you have ever considered that your playing could be enhanced by delving into avant-garde or free playing or even electric instrumentation, that is away from the classic style? Do you have a curiosity about that? Do you see it as being a legitimate avenue, as John did, to continue to explore his musical search? MR: I think if it hits me at the time, and it’s necessary to communicate what I want to express artistically, then yeah. I would embrace it. To me it’s all driven by an authentic connection of communicating with people. Whatever it is that is required from the history of jazz to do that is what we need to do. NOJ: Jazz is America’s only truly indigenous art form. A roots based music developed from the blues, Black spiritual and African rhythmic traditions, and as such I believe it is a scared tradition that needs to be preserved, but I find that the African-American community, especially here in Atlanta, have not supported the music as enthusiastically as I would have expected. They seem to prefer hip-hop, neo-soul and funk. Why do you think a whole generation of young people have not embraced this music and what can be done to expand the audience? MR: The first thing we have to do is to educate young people. We have to get (music) education back in the schools and we need to subsidize the purchase of instruments for underprivileged kids who have talent but don’t have the money to afford training and instruments. Secondly, the value of an art form is only protected by (musicians and educators) continuing to elevate it towards the highest level of that standard. That’s what they do in NFL football. If you went to an NFL game and every year the standards were starting to slip. For example, if every year the quarterbacks were throwing for less yardage and running backs were running for fewer yards, you know what I mean; people would lose interest. With jazz music, frankly, the reason people are not into it honestly is because we’ve gotten caught up in these labels and we’re not as concerned with pushing people to the highest level based on what has been achieved in the art form. Also, because of the be-bop era, which was a wonderful era, an egotistical component was introduced to jazz. That eventually pushed people away from the music, because it became about musician objectives instead of communicating a real emotional feeling to people. "...because of the be-bop era, which was a wonderful era, an egotistical component was introduced to jazz. That eventually pushed people away from the music, because it became about musician objectives instead of communicating a real emotional feeling to people." If you take someone to a jazz show and the (musicians) are playing a complex melody and a tune that the audience doesn’t know, and let’s say they have four horn players and everybody plays a long solo, so that the tune ends up like being twenty-five minutes long, and everyone is playing loud and they’re all doing whatever it is that they do. I mean how many people are going to want to hear that? I mean nobody wants to hear that. My argument is that we must bring jazz back to what it used to be. I don’t mean to bring it back to some generic swing dance. I’m saying, the original power of jazz music was that it was a group music that used our American democratic principles, in that we are using a system that celebrates the individual but not over the group. You have to tie it into a shared agenda and you have to put that shared agenda into bringing the public a shared experience. You then let the experience move the audience into embracing and supporting your music, instead of promoting it as something that is avant-garde or fusion or new. Those labels don’t really mean anything to people, they don’t really know what that is supposed to be. I think that’s why the audience has moved into (listening to) more popular styles. The people are singing or rapping or whatever they are doing, it’s clear that these artists are trying to communicate with the people and entertain them. Now whether you like what they’re doing or you don’t is a matter of opinion. But jazz has lost that ability (to communicate) to some degree. There are a lot of really talented guys out there and I think there are a lot of really hip things going on, so don’t misinterpret what I am saying. 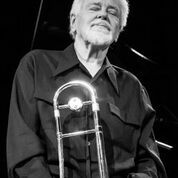 Jazz has a lot of musicians who are into playing, but our audience has continued to get older and older and it hasn’t really expanded. It’s not like we have more people into jazz in 2017 than we had in 1986. We don’t. NOJ: Yet the schools and conservatories are loaded with students who are embracing this music, and when they come out, the sad truth is they will likely have fewer and fewer places to play. What’s that about? MR: What I tell young people that I teach in Florida State is, that if you want to play this music, you are going to have a lot more ground work to do than even we had when we came out (in the early eighties.) When we came out there was at least record company support, there was some institutional support that you could get and there was media coverage that you could get. If you played in New York City, you might actually be able to get to do the Today Show or Good Morning America, but that ain’t happening now. Now you have to build your own audience through social media, use these modern tools of communication. Most importantly you have to think about what you want to present to people and work really hard to make sure that whatever that is it you want to present to people it is really clear and tangible and accessible to them. We have to put the audience more front and center. We have to pay more attention to what moves people by using the highest level of our artistic capabilities to create it, produce it and communicate it. NOJ: I read some interviews where you state that your trio concept allows for more interaction and more flexibility of roles. 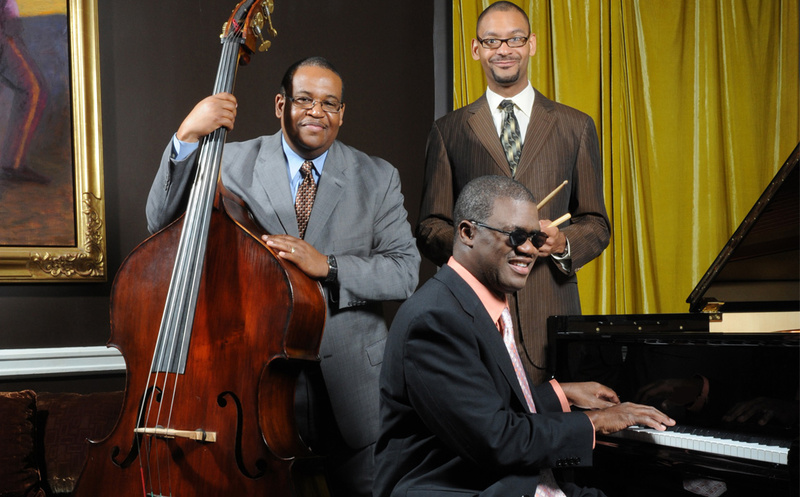 How does your trio concept differ from say those of Ahmad Jamal or Bill Evans? MR: As a trio, we are grounded toward acknowledging the highest level (of our art) and pushing towards that. Mr. Jamal turned out to be a very important mentor to me. I have had conversations with him about these things. I told him, our trio conception comes directly out of what you were doing with Vernell Fournier and Israel Crosby. It is a direct extension, elaboration and refinement of that. What I wanted to do, that I didn’t necessarily hear in his trio or in some of the others, is the agenda of putting the bass and drums in an equal position. The music itself is written with that specific goal in mind. It’s not just the improvisational thing that just sort of happens on one tune but not maybe not on another tune. You know Jason Marsalis is one of the most talented drummers on the planet, so to keep him with me for twenty-three years I needed to write music that allowed him to contribute fully. He wasn’t going to want to be just playing a ride pattern all that long around piano solos, that wasn’t going to work. With the bass, the bass has a lot of power. It can participate rhythmically, harmonically with the piano or rhythmically with the drums and it has it’s own separate role from all of that. I have written music that allows for them to literally control the tempos, the direction, the grooves we play, even the keys were in. I don’t know of any other trios that I‘ve heard that have that as an agenda. To open up the power of what a trio can be. It made us feel that the trio felt more like what you would have with a front line of trumpet and saxophone. Now they are not just participating primarily in a complimentary role. The drummers on most of the records that I’ve heard, they don’t participate as much. "I have written music that allows for (my trio) to literally control the tempos, the direction, the grooves we play, even the keys were in. To open up the power of what a trio can be." NOJ: Well clearly Paul Motion did in Evans early trio with LaFaro. MR: Well he did, but I don’t think he controlled the direction of the music ever. He certainly participated and he interacted with the piano in the traditional way those groups of that era did. But I haven’t heard any Bill Evans where Paul Motion decided to actually change keys here or change the tempo here based on his agenda. So, for whatever it's worth, what we are doing is kind of an innovation, in terms of the psychology that I’m employing in building a trio conception. NOJ: When you decided to do this album, you had the formidable task of taking music written for a quartet and making it work for a trio with no saxophone. How were you able to achieve such a dynamic sound when the main voice in the original recording was John’s saxophone? MR: Mainly, by having a real organic connection with that music and a deep love for it. That led me to understand what things needed to be changed or shifted. The melodies are so strong, so removing part of the pianistic role of accompanying didn’t take away from it feeling complete. Playing the melody, for example, to “Wise One,” it’s such a strong melody that I didn’t have to do as much as McCoy did for that melody to still sing out and be heard. It gave me some other options as a pianist through the creative use of pedaling and a lot of the things I’ve learned through studying Ravel and some of the French composers and listening to Monk. I was able to put together a way to present the piano where it is a good compromise between what the piano would do and what the saxophone was up to. 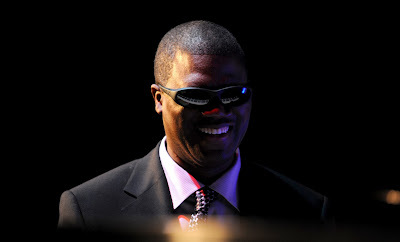 NOJ: You have been playing with Jason Marsalis for twenty-three years and with Rodney Jordan for eight. You have obviously attained a degree of simpatico with these guys. NOJ: I remember reading a quote from I believe it was the late great guitarist John Abercrombie, who said that in his experience six or seven years seemed to be the life span of a group. Do you agree or do you feel that a trio can grow together and avoid becoming stale? MR: As long as you still have something to do than yeah you can continue to grow and stay together. It is as simple as that. People break up because there is nothing left to do. They’re just playing gigs or whatever their artistic mission was, they no longer feel there is anything left for them to explore or achieve. It’s over then. We don’t feel that way. We fell that there is a lot left that we want to explore. What usually happens when you have a group of really talented people, they end up wanting to go out and do their own thing. So when Jason wanted to go out and start his own group, I didn’t stop him. I facilitated him doing it. We talked about the drummer David Potter going out on his own with his album You Already Know and I continue to work with him and talk to him and mentor him and Will Goble and all those guys. That’s why Jason feels comfortable sticking with me. I’m not trying to limit his own evolution and development as a musician outside of working with me, unlike most bands where there is a sense that you are either in or out. NOJ: I’ve heard you cite some piano influences before including Errol Garner, Thelonious Monk, Duke Ellington and Kenny Kirkland. Let’s talk about a few others and see if they influenced you in any way. Let's start with McCoy Tyner. MR:Oh my god yes. He is in the top five of my influences for sure. I love McCoy. MR: Not as much. I mean I love his playing, but I can’t claim that I have studied it or invested a lot in him. He is a great artist, trust me I have a bunch of his records. NOJ: How about Bill Evans? MR: I like Bill Evans approach more so than his sound. I do admire, his intellect, for everything he plays there is a purpose, a meaning behind it. His playing on Kind of Blue is part of what makes that record so special. He understood; he studied a wide variety of music and he was very intelligent to be a young guy coming up there playing with Miles Davis. For him to have his own vision of piano and harmony and all this was impressive. I haven’t been influenced specifically by him, but I have been influenced by some of the playing he did. And I like a lot of his trio work as well. NOJ: What about John Lewis. A friend of mine who is a pianist and a teacher mentioned that he heard some John Lewis in your playing? MR: Well thank him for me. John Lewis was a classy, gracious, dignified man. If he played it there was a reason for every note. Same with Thelonious. Lewis represents what you can do when you have an organized view of how improvisation can work in a band. If you listen to the Modern Jazz Quartet you can tell that he’s the architect of what everybody does. Here’s where Milt should play and here’s when everybody should play the melody in unison. Just a brilliant organizing talent. A fantastic pianist with a beautiful sound, wonderful touch and you can just hear love and dedication to jazz in everything that he does. NOJ: You’ve also mentioned the Panamanian Danilo Perez as an influence. What is it about his playing that catches your ear? MR: Oh, man I love him. Just the soul, the belief, we talked about this, the authentic integration of Cuban and Latin rhythms with a real understanding of jazz piano. He has a tremendous technique. He came into Florida with Wayne Shorter earlier this year and I teased him about how he ended one of his pieces with a part of a Chopin Etude in E Major, he slipped it in there to set up the top of a form of a Latin Piece. It was crazy, and it’s not an easy piece to play. A tremendous player. NOJ: Did George Shearing and his use of block chords influence you at all? MR: Yeah, I loved his playing. As a young blind kid I got a chance to go to one of his concerts and he actually talked to me for about ten or fifteen minutes after his show. The one thing he told me was to make sure you can read Braille music. He said don’t be illiterate. NOJ: You have mentioned that Hubert Foster, your teacher at the Florida School for the Deaf and Blind made you read Braille music. MR: Oh yeah, he forced me to do it. I didn’t want to. Unfortunately, a lot of our blind children are not being given these tools and we still have only a ten percent literacy rate among blind children, which we have got to do something about that. It really bothers me. 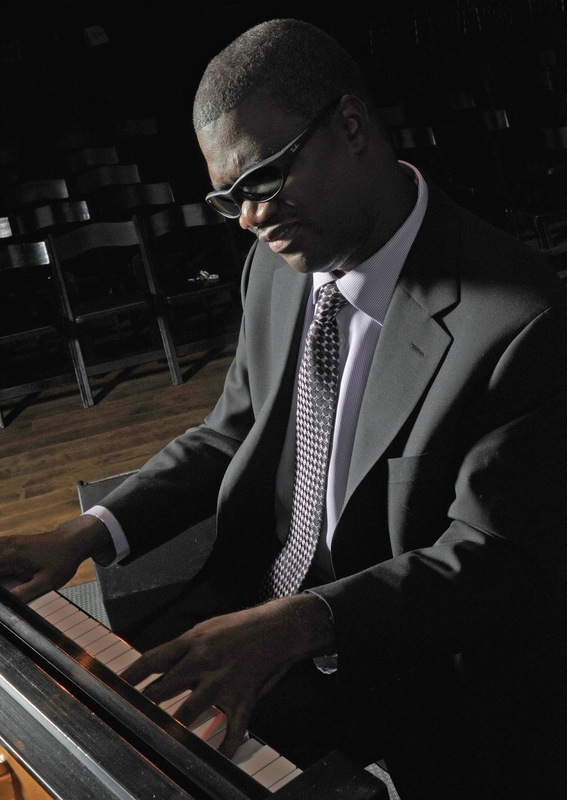 NOJ: I read somewhere that the great pianist Art Tatum was told that later in his life they could fix his blindness, but he chose not to because he thought it would be a distraction. What is your feeling on that? Is blindness just a disability or is it, for you, an advantage in terms of your focus on the aural aspects of music? MR: No disability is an advantage. It is a situation where you do what you have to do in spite of not because of the disability. If somebody said Marcus, we can restore your site one hundred percent tomorrow is the answer yes or no? The answer is yes! I think that what you do with any obstacle in your life is to accept it embrace it and decide if you are going to make it a crutch or a tool. You have to find ways around it to do with it what you have to do. NOJ: I’ve read that you like the challenge of trying to somehow marry jazz with classical. How do you envision the two being able to co-exist when one is based on strict adherence to composition and the other is based on spontaneous composition and improvisation? MR: You are only going to be limited in either one of them by what you know about them. I don’t necessarily agree that a classical pianist is dealing with strict composition. There is a lot of leeway within how a pianist can (interpret a piece.) If you listen to five pianists a Chopin ballade; listen to Lang Lang, or Sviatoslov Richter play it or you listen to Michelangeli play it, I guarantee that these people will give you completely personalized approach. It is just that the art form has a different set of imperatives of how you reach individual identity. In jazz spontaneous composition is going to be based on what you know you’re getting ready to say. Which is why I’m comfortable improvising on a George Gershwin piano concerto, but I am not comfortable improvising on a Liszt piano concerto. My knowledge of Gershwin is more authentic, and I know exactly what he was up to. With Franz Liszt I would have had to have spent a lot more years in a real conservatory environment and I didn’t. Authenticity allows you to marry the two. If you listen to Ravel, you can tell that he had an authentic understanding of about five percent of what jazz music was at that time. He was smart enough to use that five percent and not make the mistake of using more than he understood. When I say I’m trying to marry jazz and classical music, what I’m really talking about is bringing the five to ten percent of what I can understand about classical music and work it into the jazz that I do. I can then authentically present that to people with a real sense of clarity and belief. classical music and work it into the jazz that I do." 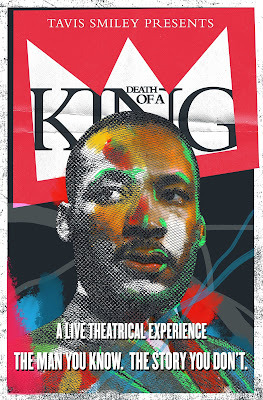 NOJ: You have written music for a theatrical presentation title Tavis Smiley’s Death of a King: A theatrical Experience based on the fiftieth anniversary of Dr. Martin Luther King’s death. Tell us about how you got involved in this project? MR: I’ve known Tavis and respected him for years and years. I’ve done television and radio shows with him many times. We both have a real deep love for Dr. King, and what he represented and who he was and what he has done to empower America as it continues to reach to be the best it can be. He (Smiley) put out a book called Death of a King, which I read, even before this project. There is a lot of riveting material in there about Dr. King’s last years, which were full of turmoil and difficulties. We had been talking earlier this year about collaborating on something, and he told me he wanted to do a stage presentation on King in honor of the fiftieth year of his death. He asked me if I would be willing to write music for this? After thinking about it I said yes. We met in Orlando, met for two or three days there, went through the script and figured out where we needed music and what that music should be. We listened to all kinds of music Duke Ellington, Mahalia Jackson, all kinds of music and I took about two months off and wrote all this music that matched the mood and emotions that King found himself in toward the end of his life. I grew a lot from it as a pianist. It’s like writing music for a film. NOJ: Yeah, how do you do that? Get the music to match the emotional content of the film or stage presentation? MR: It’s difficult, because you have to put your knowledge at the service of the situation. I tried to hear it in my head, the music that I could play that would fit that exact situation. There was one scene when Dr. King had a really contentious argument with Adam Clayton Powell, and he goes out on the balcony, it’s late at night and he is looking up at the stars, just trying to find some peace. I can envision him saying “Man, can I just get five minutes, just three minutes of peace from all this?” So I had been listening to the second movement to Ravel’s great G major piano concerto. I listened to that second movement for an hour and then some ideas just came to me. That piece sounds peaceful, especially when you listen to the end of the second movement, where the English horn play this really hauntingly simple melody with this sparse piano accompaniment and strings. So, I wrote a piece called “Peace” that was inspired by this Ravel concerto, and you wouldn’t necessarily relate that French music with Dr. King, but it just came to me and it seemed really appropriate. There are other pieces in the program that are straight Gospel. NOJ: I was able to preview “After Awhile” from the show’s music which is really a strong Gospel. RM: Exactly. That’s how the show ends. It ends on a very optimistic note. He sacrificed that last year of his life for America. In 2017 we are still aspiring to use what we’ve learned from Dr. King; his mission, his struggle and his contribution to the American democracy. We have to get past anyone feeling inferior or superior, it’s all about everyone being equal. It’s all about freedom and equality. Not liberty per se. To me liberty can get you into trouble. Liberty is like soloing on a tune for five minutes, during the bebop era. Freedom means that you have to think about the next guy playing as much as yourself and that’s the real lesson in jazz music. That is a tangible lesson that you can teach a five-year-old child or a member of your band. It’s that shared sacrifice, thinking about another person’s opportunity over yours. That’s why freedom to me is more important than liberty. NOJ: Mr. Smiley has said that one of the messages that he hopes to relay in the show is that “ironically (Dr. King’s) martyrdom undermined his message.” If you agree, can you explain that and how do you deal with that conflict between his death and his message in your music? RM: Martyrdom can make you focus too much on just the suffering. You can get lost in that, instead of thinking in terms of his message, which is a universally accessible thing. The suffering just proves that he had the courage to not change his message to get people’s approval. That shows he is an iconic hero in our culture. We get the benefit of the message itself without having to be the martyr that he became. If you struggled on my behalf and communicated that message for me, then I don’t have to go through that suffering to benefit from it. King is like all of our great inspirational leaders who do things that we would never do. They do it because they really believe. You don’t really know what you truly believe until you are at your lowest point. Your belief is not tested when everything is going the way you want it. NOJ: The tour starts in Brooklyn in January but, you will be playing here in my home base of Atlanta at the Cobb Energy Center on April 2, 2018. That should be a very special performance. What can we expect? MR: Well you can expect a little of energy, a lot of diversity of mood and color. I think it will be a wonderful show because of the beautiful moving images that Travis has assembled with his team for the show. His oratory will be spectacular, he is a great speaker with a great voice and he has a way of communicating with the people. The role of the piano will simply be to try to elevate, acknowledge and support that. At times the piano will be out front when the music is the main thing, but there will also be times when the oratory and images are the main thing. I think this will be a very special way of people communicating about issues that haven’t gone anywhere, that are still here with us right now in our current environment in this country. We are really reaching for an America that celebrates this diversity and supports everyone having equal access to freedom. NOJ: Marcus thank you for your time and we really appreciate the opportunity to speak with you and to give our readers a glimpse of all the projects you’re working on. I hope we get a chance to meet in April. What happens when you assemble one of the world’s preeminent masters of the ancient art of the tabla with an eclectic jazz master of the upright double bass ? You warp time and space. If you were fortunate enough to have been at Emory’s Schwartz Center this past Thursday evening (November 2, 2017), then you would have experienced a fascinating amalgam of Indian/Jazz influenced World Music at its finest. The program, aptly titled Crosscurrents, is a touring group that includes the phenomenal Indian tabla artist Zakir Hussain Quereshi, NEA jazz master bassist Dave Holland, world class saxophonist Chris Potter, pianist and “the Godfather of Indian jazz” Louiz Banks, guitarist Sanjay Divecha, drummer Gino Banks and one of India’s greatest voices and Bollywood superstar vocalist Shakar Mahadevan. With such an esteemed and accomplished group of musicians there was no doubt that the music would be both adventurous and moving. 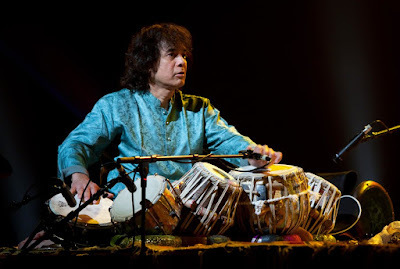 The sixty-six-year-old Mr. Hussain is the son of the great tabla master Alla Rakha Quereshi, whose legendary performances with the sitarist Ravi Shakar, introduced India raga to a receptive western audience back in the late sixties. Rakha was also instrumental in bringing together the southern Indian Carnatic music tradition with the classical Indian Hindustani tradition of the northern India, and his son Zakir has carried on that practice in his own music taking it a step further. By working extensively with western musicians, Hussain has elevated the status of the more than four-thousand-year-old instrument, bringing its sounds to a worldwide audience. Hussain’s tabla work can be heard accompanying western jazz artists like Joe Henderson, Pharoah Sanders, John McLaughlin, George Brooks, crossover artists like Bela Fleck and Edgar Meyer and rock artists like George Harrison and the Grateful Dead’s Mickey Hart. His work on the break-through World music albums Planet Drum from 1992 and Global Drum Project from 2009 both garnered him Grammy awards. His handwork is so quick, so nuanced and so poly-rhythmic that when you see him play your eyes and ears seem to be deceiving you. The seventy-one-year-old jazz multiple Grammy winning bassist Dave Holland originally hailed from England but has been living in the United States for over forty years. His playing has been sometimes classified as avant-garde/fusion because of his early work with Miles Davis, Sam Rivers, John Abercrombie and Anthony Braxton but the breadth of his musical interests goes far beyond any narrow categorization. He has studied flamenco, written and arranged for his big band and trios, and explored eastern musical traditions. He has superb intonation, a rapid pizzicato technique and can bow the cello or the double bass with refined proficiency. Emory’s Schwartz Center is a gem of a performance space; comfortable with great sight lines and marvelous acoustics. With acoustic music of the nuanced variety that Mr. Hussain and Mr. Holland were presenting on this evening, the theater’s acoustics became an indispensable asset and the performance was well broadcast. Mr. Hussain was seated on an elevated platform with his tablas and an array of other Indian percussive instruments within easy striking distance. Mr. Holland was stationed to his immediate right. The drummer Gino Banks was perched at a higher level at center stage. Louiz Banks was seated behind a grand piano and a Korg electronic keyboard to the far left, while Mr. Mahadevan and Mr. Potter shared center stage. I find myself at a loss for words to describe the music and its transcendent effect on me or anyone who takes the time to experience it played "live" with both an open heart and an open mind. It defies description. You are immediately aware that this music is not just for momentary enjoyment but a vehicle into mindfulness, a conduit that can bring you to a higher place if you let it. The compositions that I could identify included Chris Potter’s “Shadow,” a song titled “The Dove Flies," some ancient traditional Indian classical music and Mr. Menhaden's wildly popular “Breathless,” which ended the set. The songs, though defined by breaks, for the most part streamed like one continuous current throughout the approximately ninety-minute show. The music's time became elusive, a relative warping of your own personal space. Where in western music there is usually a manufactured beat (no matter how complex) that you can hold onto, there was instead an organic heartbeat. Time changed as the music demanded; from reasonably paced, to arrhythmic to bursting with tachycardia and back to normal all within the structure of a single song. And amazingly no one missed a beat! Virtuosity was the order of the evening; each artist showing physical facility as well an intuitive connection to the music. Mr. Hussain and Mr. Holland are perfectly matched. The tabla goes amazingly well with the double bass when played by two like-minded spirits. Mr. Potter was most effective when he played his soprano saxophone emoting an airy, more exotic sound to the proceedings. Louiz Banks was a sensitive accompanist on the piano and at one point on an electronic keyboard and his son, drummer Gino Banks was mind-linked with Hussain’s poly-rhythmic playing. The surprise of the evening was the amazing vocalist Shankar Mahadevan who stunned the audience with his vocal gymnastics, his subtlety and his range. I had never seen him before and his control was astounding and a real treat to behold in person. His voice can match musical lines in precision with any accomplished instrumentalist, and his ability to modulate incrementally gives him a micro-tonal range. His breath control, especially on his tune aptly named "Breathless," is just short of astonishing. At one point in the show, the group broke off into a more traditional jazz trio with Potter on tenor along with Holland and Hussain. The group played off a Potter inspired riff and you could see these three really tuning into each other in what appeared to be a free, spontaneous improvisational segment. Hussain is a true marvel whose rhythmic sense is without boundaries. Holland, who claims to have never formally studied Indian music, adapted flawlessly to the ebbs and flows of the classical Indian music with amazing aplomb. At times he created drone effects, usually provided by a sitar or tambura, by continuously bowing a note or pair of notes on his bass. It is no wonder he is one of the most in demand bassist in all of jazz. The group is by all definitions a super group and not to be missed. This leg of the limited North American tour started in late October. They have three remaining performances one on November 4 in Orlando, FL and one in Newark, NJ on Nov 5 and the final performance for this year in London at Barbican Hall on November 11,2017. The group will reunite in the new year, touring again starts in Los Angeles and ends in Washington DC from April 27,2018 through May 6, 2018. In speaking to Holland after the show he indicated that they will be recording both this group and the Holland/Potter/Hussain trio before they disband. For those who appreciate extraordinary world music then catch Crosscurrents live before their gone and if that‘s not in the cards, you can buy the records when they come out. 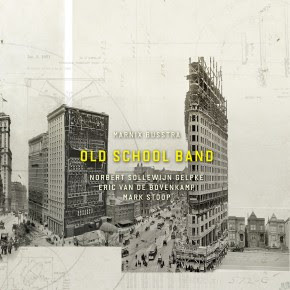 Dutch Funk from guitarist Marnix Busstra's "Old School Band"
On this album, Busstra gives a nod to his early influences and gone back to the basics, the reliable, often funky, jazz guitar/organ/bass/drums format. The group follows in the footsteps of guitarist John Scofield’s outings with avant-jazz-funk, jam band Medeski, Martin & Wood, popularized by their album from 1998 A Go Go.